Shop all the latest trends from the leading designers in bridal fashion -- right in the heart of Chelsea! Powered by The Knot, Couture plays host to your favorite designers in a fun, boutique shopping experience at the always elegant Metropolitan Pavilion. And with the addition of runway shows, we're now bigger and better than ever. Join us for 3 days of bridal magic and a toast to another new season! The leading forum for bridal designers, buyers and press to connect and discover the latest trends in bridal fashion. Powered by The Knot, Couture has served the needs of this vibrant industry for over 20 years. 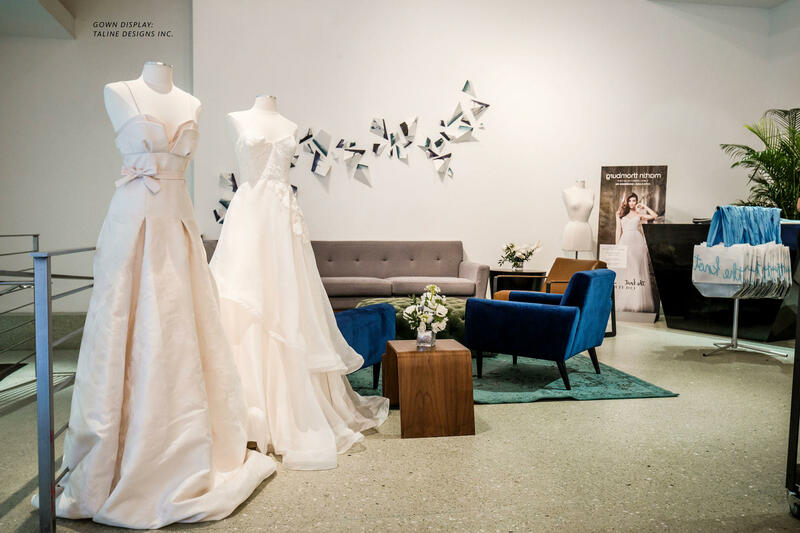 Our unique event elevates the trade show experience in a manner that is appropriate for the luxury market and has become a launch pad for today's top bridal designers. The Knot Couture Show is not open to the general public. It is strictly for the bridal fashion trade. In the interest of our exhibitors and buyers, we do not permit anyone that is not a buyer of bridal fashion for retail. Register here to make check in a breeze! When you arrive to the Metropolitan Pavilion registration lobby, we'll check your buyer requirements above and print your show badge. There's so much bridal fashion magic happening behind these doors - we want to protect the buying environment for both our exhibitors and attendees. Please make sure you wear your badge at all times! The show features a unique, multi-level layout - you'll find designers on floors 1, 4 and 5, and runway shows on floor 2 at Metropolitan Pavilion. Full list of talented designers showing their latest lines coming soon! We'll be capturing all of the couture magic! Guests consent to being photographed or filmed by entering the premises. Featuring a sleek, modern look and a central location to serve our buyers, The Metropolitan Pavilion offers elevated separation between price points with a unique multi-level layout that creates curated foot traffic and a boutique shopping experience.